Here’s my take on the 10 most significant and interesting occurrences during the past week……. It’s all about batteries: Cost-competitive electric vehicles (EVs) with at least 200 miles of range on a single charge are on the horizon. Automakers are working with major battery suppliers such as LG Chem to roll out these models within two-to-three years. General Motors (with its recently announced Chevrolet Bolt), Ford, Nissan, and Volkswagen think they can catch up to Tesla Motors’ breakthrough with its Model S that can go 265 miles on a charge……… A new study by Stockholm Environment Institute predicts that the cost of lithium-ion battery cells will continue falling; that cost dropped about 14% per year from 2007 to 2014 and should continue dropping an average of 8% per years for the foreseeable future, which would help make EVs more affordable for car buyers.……… Kurt Kelty, Tesla’s director of battery technology, recently visited Japan to court more battery technology suppliers for its “gigafactory” to mass produce its more affordable $35,000 electric Model 3. Other Japanese suppliers – Panasonic Corp. and Denso Corp. – have already joined up on the gigafactory alliance. Kelty has been impressed with the quality level of these suppliers of components and displays, but expressed concern over their slow decision-making and risk aversion……… Sakti3, maker of solid state electrolyte batteries, just gained a $15 million investment from Dyson, a company famous for its vacuums. Details haven’t come out yet on what that partnership will be working on, but it does help Sakti3 make the case that its solid-state technology has already generated twice the energy density of the best lithium-ion batteries on the market today. NGVAmerica reported on natural gas vehicle sales in 2014. Natural gas vehicle (NGV) production and sales fell by 6.5% from the previous year in 2014 as the dramatic drop in the prices of oil and transportation fuel softened demand for these alternative fuel vehicles. That was seen mainly by light-duty NGVs, which fell 34% in sales from 2013. During 2014, NGV production and sales reached just over 18,000 vehicles in the US. Commercial truck customers are still supportive of the technology, with heavy-duty NGVs increasing 30% in sales over 2013 and the medium-duty market seeing a rise of 24% over the previous year. NGVAmerica expects that trend to continue with production and sales holding steady or improving during 2015. Spy shots were taken of the Tesla Model X near the Palo Alto, Calif., headquarters. Tesla Motors has begun road testing its electric crossover as it goes through its final testing phase before being launched this summer. The test model was lightly disguised but looked like it has changed very little since its 2012 unveiling. Aston Martin has filed suit in federal court in Los Angeles against Henrik Fisker’s “Thunderbolt” prototype, because of “bad-faith intent to free-ride off the tremendous goodwill associated with the famous Aston Martin mark, wings logo, side vent mark, and Vanquish mark.” Aston Marton says it was too close to the iconic sports car featured in James Bond movies. Fisker, the co-founder of Fisker Automotive and a former Aston Martin design director, unveiled at the sports car at an auto show in Florida this month. The V12 coupe is available only by special order through Los Angeles-based dealer Galpin Aston Martin. Global electric vehicle (EV) sales grew by 76% during 2014 – 320,000 units sold, bringing the global market up to 740,000 vehicles. Battery makers had revenue of $2.17 billion supplying the battery packs for these vehicles, according to Centre for Solar Energy and Hydrogen Research, a German research company. The US made up nearly 70% of the total at 290,000 units sold. Chinas had 54,000 new EVs sold. China and Japan had 120% and 45% growth rates, respectively. Supportive government policies have helped these three countries see solid growth rates. TransPower, a manufacturer of electric drive systems for battery electric commercial trucks, has won $9 million from the California Energy Commission (CEC) for new four new battery-electric Class 8 trucks for demonstration projects in the state of California. The four were also partially funded by the CEC, with contributions from the US Department of Energy (DOE), South Coast Air Quality Management District (AQMD), and the Ports of Long Beach and Los Angeles. Hybrid version of the Malibu. Chevrolet will be rolling out a completely redesigned version of its midsize 2016 Malibu later this year; with that will be a new hybrid option that could be one of that vehicle segment’s most fuel-efficient models. It’s estimated to have a 45 miles per gallon (or slightly better) rating – putting it ahead of the Ford Fusion and Toyota Camry hybrid models and close to the segment-leading Honda Accord Hybrid, which has a combined fuel economy rating of 47 mpg. Speaking of new hybrids, Toyota will be adding a hybrid version of the Toyota RAV4 to its list of debuts slated for the upcoming New York International Auto Show. While Toyota and other manufacturers’ hybrid sales have softened lately, Toyota is still committed to meeting its commitment to introduce a hybrid version of every one of its volume vehicles by the end of the decade. Hyperloop is becoming real. The high-speed rail Hyperloop concept, introduced by Tesla Motors and SpaceX chief executive Elon Musk, is moving beyond the drawing board phase. Hyperloop Technologies Inc. has set up a headquarters space in downtown Los Angeles in a 6,500-square foot space in the city’s Arts District. The 20-person staff is starting to see new hires show up at the downtown office. An owner of the property said Hyperloop will be leasing nearly 38,000 square feet in the current building and an adjacent property over the next 12 months. E-bikes are expected to see real sales growth with electric scooters selling three times as many units as electric motorcycles. A new Navigant Research study reports that global annual sales of e-motorcycles should increase form 1.2 million in the 2015 to 1.5 million in 2024; and e-scooters should increase from 4.1 million units sold globally this year to over 4.4 million in 2024. Several large OEMs are expected to enter the space and battery costs should be decreasing, making the e-bikes more affordable. 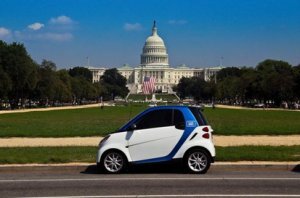 Extra: Solar power vs. utilities article in Green Auto Market Extended Edition. Several major electric utilities are fighting legislative/regulatory battles to avoid state mandates to produce a significant share of their power though renewable energy such as solar. One argument utilities make is that homeowners and commercial property owners with solar are not paying their share for the cost of grid maintenance. When I chose to bring in solar to power my house last year, I didn’t expect how long it would take to have it installed and activated, and how my utility would react. Here’s more on how to subscribe to that weekly newsletter and read all about it, plus gasoline, diesel, and oil price trends. Tesla Motors, which doesn’t have a marketing budget, is benefiting from a creative video spot; the automaker didn’t need to spend one dime on it. 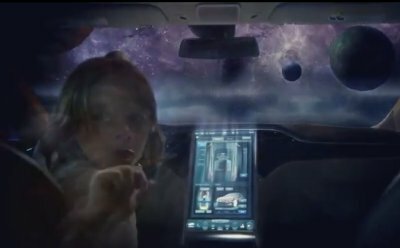 In the commercial, “Modern Spaceship,” a little boy imagines himself breaking the speed of light while driving his father’s new car, a Model S. Everdream Pictures, a production company started by recent college graduates, spent $1,500 to make the commercial. So far, Tesla hasn’t paid for it, but may collaborate in the future; Everdream met with Tesla CEO Elon Musk in January to talk about possibilities, and Tesla may hire them for a future project. As for now, Tesla has been streaming part of the video on its Facebook, Twitter, and Instagram pages; and Musk tweeted about the video recently. Tesla Motors sold 18,650 of its Model S electric luxury sedans in 2013 after launching it in the summer of 2012. The Model S sold less units last year than what Nissan Leaf and Chevrolet Volt each experienced, but for its price range – with monthly lease payments ranging from $1,051 for the 60 kilowatt-hour (kWh) version up to $1,421 for the 85-kWh Performance model – those sales figures are quite impressive – especially for an automaker that really hasn’t been around for very long. Tesla has been promoting a less-expensive lease deal to raise consumer interest (more on that later). Tesla’s brand value has been surprising to observe (as witnessed by its incredibly strong stock prices) given that the auto industry has historically been dominated by a small number of majors with startups going the way of failed 1940s Tucker sedan. Here’s my take on how Tesla Motors has been effectively telling its story……. Fine product: While Tesla has been getting a ton of press and social media coverage in the past year (with the Hyperloop, Supercharger, and Model S recall fueling most of it), Tesla would have faded by now if its cars had gone the way of the DeLoreon concept car. The Tesla Roadster, built on a Lotus chassis, was impressive being the first production-scale electric vehicle after it was launched in 2008. It was the Model S that turned heads and managed to impress Toyota and Daimler enough to invest in its electric powertrain components. Driving one of them isn’t easy – you don’t get to show up at a dealership and get behind the wheel with a sales rep answering all your questions. You have to show up at a Tesla ride and drive and wait in line to drive one of them; or have a friend who lets you experience what may be the strongest torque ever in a passenger car – and the unique, double-TV-screen dashboard for navigation and apps. There’s been a lot of buzz about its upcoming Model X crossover with double-hinged doors. It’s more affordable Model E compact is scheduled to roll out in late 2016. Removing range anxiety: Fear of having an electric vehicle’s battery poop out and being stuck on the side of a road has been the major stumbling block for selling a lot more EVs. Tesla has no plans to roll out a plug-in hybrid to alleviate that range anxiety. There are two factors that seem to be helping – one is impressive per charge range. For example, the US Environmental Protection Agency reported that the Model S Performance can go 265 miles on a single charge. Another step forward is coming through with its Supercharger stations that can recharge a Model S faster than any of the CHAdeMO or SAE Combo adapter fast chargers can deliver. Creative financing: The Tesla Model S has a sticker price ranging from the low $70Ks to the mid-$90Ks depending on the package you choose. Even with federal and state incentives, it’s much more expensive than other EVs and you can find a lot of other quality luxury cars for a much lower price. Tesla has been working with U.S. Bank and Wells Fargo on a lease program that guarantees the residual value during its three-year contract. Tesla says it will have the top residual value of any high volume premium sedan brand – Audi, BMW, Mercedes, or Lexus. Tesla is also pitching the novel idea that the cost goes down to about $500 per month. The argument goes along the lines that you can save $267 per month in fuel costs compared to the BMW 5-Series, and you can subtract more dollars and save more time by gaining access to carpool lanes while driving solo. So, creative marketing and creative financing are paying off. Leaders with personality: It certainly helps to have a self-made multi-millionaire celebrity like Elon Musk captain the ship. While competitors like GM and dealer networks likely despise him, Musk probably isn’t losing any sleep over it. It also helps to have JB Straubel serve as chief technical officer and Franz Von Holzhausen as chief designer. They’re getting a lot of media attention and respect from car designers – and Straubel and Von Holzhausen tend to be eloquent and analytical about the Tesla technology. Guerilla marketing: It is quite strange to see the Tesla brand go viral and ubiquitous in such a short period of time. It’s taken Hyundai a lot longer to reverse its negative image and to start winning accolades. Tesla is benefiting from getting strong ratings from Consumer Reports and NHTSA safety ratings (at least before the battery fires last Fall). Its tactics are paying off – with appointment-only ride and drives helping, attention-grabbing retail stores, and sales maneuvers that probably would have impressed P.T. Barnum. An example of this tactic is how good Tesla is at teasing its audience about the upcoming launch of its Supercharger, Model X, etc. Tesla is taking advantage of the digital media/marketing environment where brand value can be increased for free – if done the right way. Getting an email from Musk explaining how the automaker is dealing with the battery fire problem is a very good example of it. Problem into opportunity: “When written in Chinese, the word crisis is composed of two characters – one represents danger, and the other represents opportunity.” U.S. Senator John F. Kennedy said in a 1959 speech. I chose this quote from JFK on my LeSage Consulting website because it eloquently states the challenge clean transportation is experiencing right now. For alternative fuels and vehicles, every one of them faces huge challenges to break through consumer and fleet acquisitions and building the essential charging/fueling infrastructure. Elon Musk and his team have so far been masterful at becoming well established in the ultra-capital intensive and challenging car business. It also makes for a colorful story of a company delivering cool new technology in this rapidly changing, global economy. For those who’ve attacked federal funding for automakers and suppliers in the past five or so years, the controversy does appear to be winding down. It looks like the Great Recession post-bankruptcy era may be wrapping up soon for both General Motors Co. and the Chrysler Group. Tesla Motors has paid off its federal loans and the Fisker Automotive debacle appears to be wrapping up. The US Treasury Dept. expects to sell its remaining 31.1 million of GM common shares by the end of this year, depending on market conditions. That would take the cap off salaries for top executives, which GM has said hampered recruiting. Chrysler Group may avoid an initial public offering with Fiat paying off the United Auto Worker’s health-care trust’s share of the US automaker. Those watching the Chrysler negotiations are saying a valuation of $10 billion is being considered for market value, which would mean that the UAW’s health-care trust would own about $4.15 billion in share value with its 41.5% stake. It’s less than what analysts had expected Fiat would have to pay for Chrysler Group. The trust has been pushing for an IPO on its share of the US automaker, and Fiat and Chrysler CEO Sergio Marchionne would like to avoid the stock offering and take the remaining stake in Chrysler. General Motors investors are said to be focused on the possibility of stock buybacks or a dividend on common shares. This comes in the wake of the US Treasury outlining its plans to sell the rest of its GM stake by year end, analysts said. Sales have been strong for GM and Chrysler this year, and both Detroit automakers had a significant presence at the LA Auto Show. GM unveiled its new Chevrolet Colorado compact pickup truck. Those participating in the Green & Advanced Technology Ride & Drive enjoyed driving the Chevrolet Spark EV, the Fiat 500e, and the Jeep Grand Cherokee with its new 3.0L EcoDiesel V6 clean diesel engine. Chrysler is still behind its competitors in the alternative fuel vehicle arena, but that seems to be more a result of its being handed off from its Daimler owners, going through bankruptcy, and then having its new identity being structured by Fiat executives and Chrysler’s new leadership. Third Tesla Model S fire was pretty bad, but just how bad? Tesla Motors had its third Model S fire in six weeks on Wednesday, Nov. 6, near Smyrna, Tenn. It was at first a stunning blow to the upstart luxury, high-performance electric carmaker; it illustrated the difficulties of bringing a new technology to market and of succeeding in the auto industry. Since then, it may have quieted down. The driver of the third Model S fire has been defending Tesla, and the incidents’ stats are much better than the overall vehicle marketplace on the safety front. The Tennessee Highway Patrol said that the 2013 Model S ran over a tow hitch on Interstate 24 that hit the undercarriage of the vehicle, causing an electric fire. Tesla doesn’t know yet whether the fire involved the electric car’s battery. The driver, Dr. Juris Shibayama, was impressed with how it all turned out and plans to buy another one of Tesla’s electric vehicles. “I am thankful to God that I was totally uninjured in any way from this impact. Had I not been in a Tesla, that object could have punched through the floor and caused me serious harm,” Shibayama wrote in a letter that was sent out in an email by Tesla. The first of the three fires took place on October 1 in Kent, Wash, near Seattle. The Model S is said to have run over a piece of road debris described as a “curved section that fell off a semi-trailer.” Tesla said that it punched a three-inch hole through the quarter-inch-thick armor plate protecting the pack and had a force of 25 tons. The Model S alerted the driver, and he pulled over and safely exited the car. The second fire took place on October 18 in Mérida, a city in Mexico’s Yucatán region. A drunk driver jumped a curb in the Model S, took out part of a concrete wall and hit a tree. This driver was also satisfied with the safety of the car and wants to have his replacement Model S delivered promptly. The National Highway Traffic Safety Administration (NHTSA) is in talks with Tesla on the Tennessee crash, and will decide soon if a full investigation is needed. Tesla did receive a top NHTSA safety rating for the Model S this year, and accolades also came in from Consumer Reports and car review publications. Thousands of cars crash and burn every year in the US – fires in Tesla’s electric cars are much less common than in those powered by gasoline and diesel; but timing does play a huge part in the stock price of a company and perceived value of a product. There have been over 19,000 units sold so far for the Model S; while it’s probably not a ratio that should raise red flags over the electric car’s safety, having these incidents happen so close together does create quite a perceptual challenge for the automaker. Tesla Motors is now under a spotlight similar to what the Chevrolet Volt and Fisker Karma and its A123 lithium ion battery pack have been through. Li-ion batteries are commonplace in smartphones and laptops, but are still fairly new to cars. While Toyota and Daimler are impressed enough with Tesla’s battery-powered electric motor to place them in their own EVs, the new technology is quite vulnerable to safety and reliability issues. This year has been a wild ride for the luxury electric carmaker. Tesla CEO Elon Musk has become a media icon, much to the chagrin of auto dealer trade groups, which have locked horns with Tesla in Texas and other states through lawsuits and lobbying efforts. Tesla has opened retail stores in states where franchise laws dictate car sales. Dealers are concerned that if Tesla wins this fight, automakers may bypass at least some of their dealer networks and go direct to consumers. Musk has gained much attention through his SpaceX commercial space travel company, and the Hyperloop 800-mile per hour train system that he conceived with SpaceX engineers. Investors have also been quite enamored with Musk and Tesla shares, which have peaked and plummeted this year. In May, Tesla stock (TSLA) was at about $76 per share; it reached a peak of $193.37 in late September and closed on Monday, Nov. 11, at $144.70. So far, Tesla has been very shrewd about how it’s responded to the crashes, but the company is at a pivotal juncture for its future. 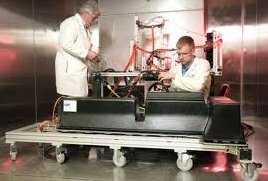 Not long ago, Navigant Research identified what it considers to be the top 10 most significant lithium-ion battery makers active in the electric vehicle market. Its top 10 ranking is based on systems integration, safety engineering, chemistry performance, geographic reach, manufacturing and product performance, pricing, and overall corporate financial health. Here’s the top 10 list with a bit of company background information…. LG Chem – formerly a subsidiary of LG Group, the South Korean company went public in 2001 with LG Group remaining a significant investor. Johnson Controls – a US-based company offering products and services to optimize energy and operational efficiencies to several industries including automotive. Automotive Energy Supply Corp. (AESC) – a joint venture between three Japan-based companies – Nissan, information technology company NEC Corp., and electronic device company NEC TOKIN Corp.
Panasonic – a Japanese electronics company. Samsung SDI – a subsidiary of South Korea-based Samsung Electronics. SK Continental E-Motion – a joint venture between South Korea’s largest oil refiner SK Innovation and German automotive parts supplier Continental AG. Hitachi – a Japanese engineering and electronics conglomerate. Toshiba – a Japanese engineering and electronics conglomerate. GS Yuasa – a Japanese company known primarily for automobile and motorcycle lead-acid batteries. BYD – Chinese BYD Company is a major battery maker and also owns BYD Auto Co.
You might notice a pattern here – of these 10 companies, only one is US based and nearly all others are in Asia and bring many years of success in automotive, engineering, and electronics to their battery divisions. The US has its share of electric carmakers, but the battery packs haven’t gone well for US-based manufacturing. A123 Systems went bankrupt and is making a few batteries now for its Chinese company owner; EnerDel came from Ener1 and its troubled partnership with Norwegian electric carmaker Think. EnerDel is struggling with lack of business and just cut its Indianapolis-area workforce by one third. Coda Automotive has pulled out of the electric vehicle market and filed for bankruptcy. Management is now focused on building its battery energy storage system through its Coda Energy division, which it started in 2011, and it’s focused on markets outside of electric vehicles. LG Chem has done very well in the global li-ion battery market, but the US has been a bad experience for the top-ranked company. LG Chem finally began producing li-ion batteries in July for the Chevrolet Volt at its Holland, Mich. plant, but that’s been stopped again in the past few days. The US Environmental Protection Agency (EPA) has raised questions about how the cells are being made. The EPA has issued a subpoena on LG Chem to find out what chemicals have been used in production. The company says that it’s still confident it can get production ramped up once this investigation gets wrapped up. LG Chem had received $151 million in US Department of Energy funds, but had not built any Volt batteries from Holland, Mich., until very recently – only from its South Korean facilities. It got fairly ugly earlier this year when the Office of the Inspector General reported that LG Chem employees were sitting around doing nothing but playing games and watching movies while being paid from these federal funds. LC Chem was instructed to return $842,000 as a result of the report. Lux Research reported that electronics giant Panasonic’s lithium-ion battery division earned about $40 million in profits during Q2 2013 – much better than in Q2 2012 when the company lost $20 million. The company is expected to invest over $200 million during the next year to expand its li-ion production lines in Japan. Panasonic has supplied nickel-metal hydride batteries to Toyota and Honda hybrid models, but more recently has invested more in its li-ion division. Tesla Motors is a major client – Panasonic has been producing 60 kilowatt hour to 85 kWh battery packs for its Model S electric car. Lux Research reported that Panasonic has overtaken LG Chem and AESC in US li-ion sales. The US market is competitive for li-ion EV battery market share, but it’s now coming from companies based overseas.